Eight Northern Illinois University sophomore student-athletes have been named to the newest class of “LEaD Huskies,” announced this week by NIU Faculty Athletics Representative Matt Streb and Sean T. Frazier, associate vice president and director of Athletics. The Leadership Enhancement and Development – or LEaD – Huskie program was introduced for the first time last year. The program is designed to identify younger student-athletes who have shown the ability to succeed academically and have potential to serve as leaders within their teams and outside the classroom. This year’s LEaD Huskies, who were nominated by their coaches and selected by Streb, Frazier and NIU Athletics senior administrators, are Cristina Alvarez (women’s tennis), Simon Formont (men’s tennis), Nicole Gobbo (women’s soccer), Drew Hare (football), Mackenzie Lewis (women’s soccer), Emily Naegele (softball), Leah Raffety (cross country) and John Zubek (baseball). They own a collective cumulative GPA of 3.90. Participants in the program are exposed to different resources designed to foster development of their leadership skills. The student-athletes work closely with Streb and athletics administrators, interact with business leaders and others from within their chosen careers and hear from guest lecturers in different disciplines. They receive guidance on how to put themselves in position to compete for NCAA and conference awards and scholarships, how to apply for admission in graduate school and the best ways to prepare to enter the job market. 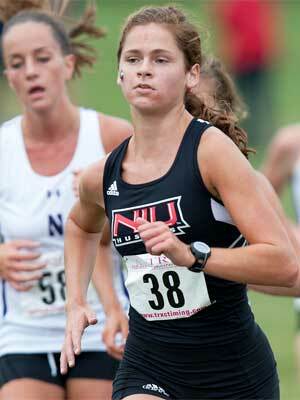 Each year, NIU coaches nominate one sophomore from their program to be chosen as a LEaD Huskie. Nominees must excel in the classroom with a GPA at or above 3.5 and must be a candidate either currently or in the future for significant athletic awards, including all-conference and/or All-American recognition. Last year’s eight-person LEaD Huskie class garnered eight Academic All-MAC recognitions, four were named All Mid-American Conference and two achieved Capital One Academic All-District recognition. In addition, men’s soccer student-athlete Dusty Page was elected the vice-chairman of the National Student-Athlete Advisory Committee (SAAC) and represented NIU and that group at the NCAA Convention in San Diego last month. The 2013 LEaD Huskies are: Fred Cadieux (men’s tennis), Amanda Corral (women’s basketball), Lauren Noonan (women’s soccer), Dusty Page (men’s soccer), Mackenzie Roddy (volleyball), Amanda Stepp (gymnastics), Rob Sterling (football) and Nelle Youel (women’s tennis). 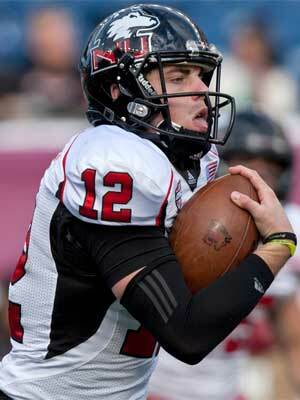 For more information on Huskie athletics, visit www.niuhuskies.com.